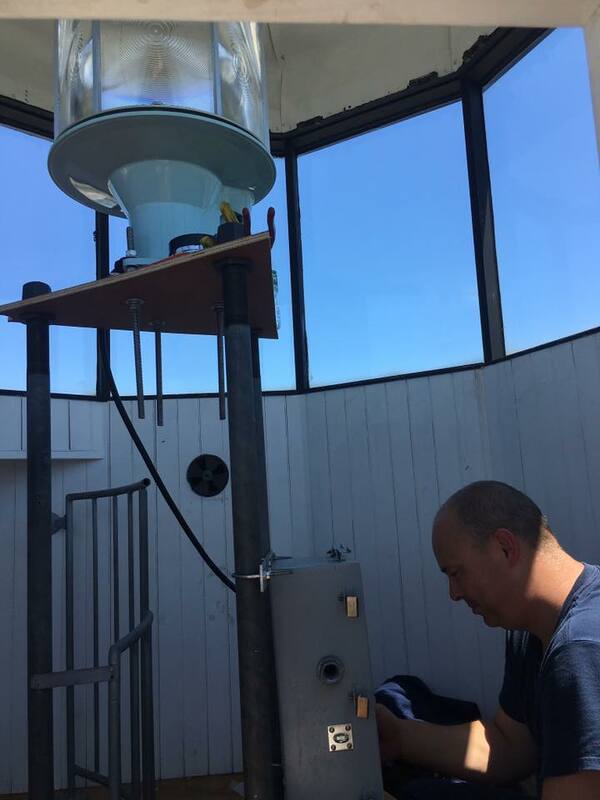 The United States Coast Guard Aids to Navigation Team was on site at the Hereford Inlet Lighthouse on July 19, installing a new VRB-25 rotating beacon, replacing the fixed LED lamp that has been providing aid to mariners since May 12 of this year. The previous DCB-24 rotating beacon, which operated on the lighthouse property from 1964 to 2018, malfunctioned on May 11 and was replaced temporarily by the LED lamp. 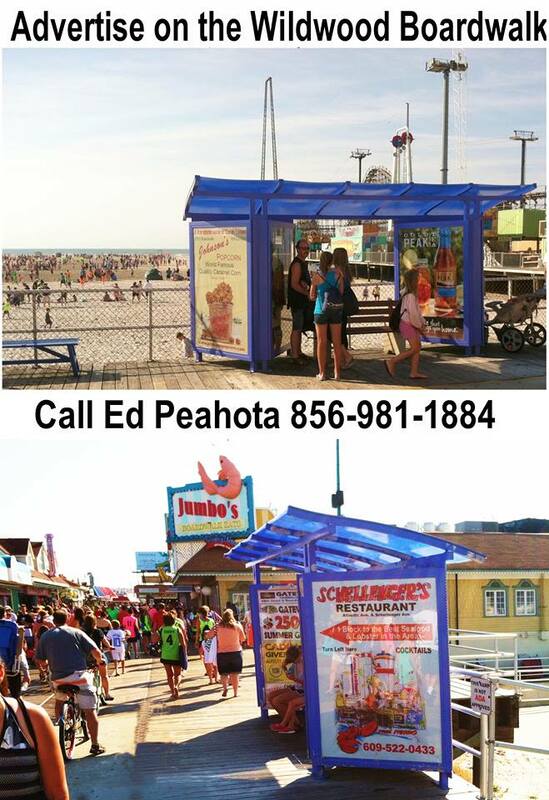 The new VRB-25 is similar to the beacon currently functioning in the Cape May Point Lighthouse and is visible at an 18-nautical-mile range. 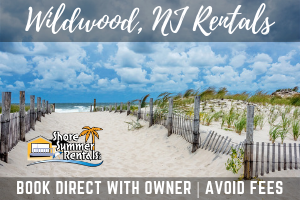 North Wildwood City Council adopted a resolution on June 6 formally requesting the Coast Guard to install a rotating beacon. 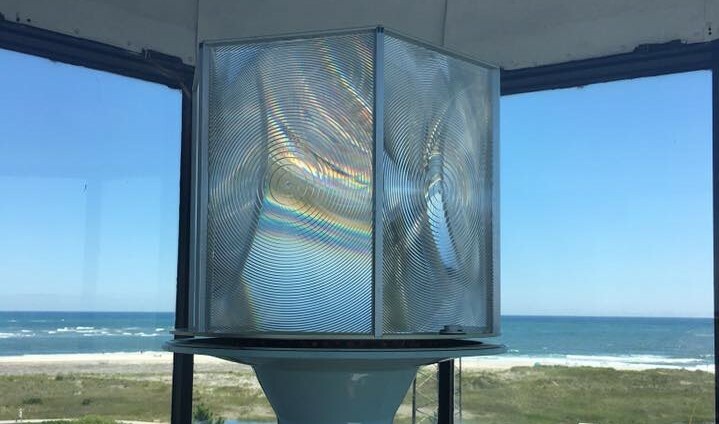 For its first 50 years, the beacon in the Hereford Inlet Lighthouse tower was a stationary, fixed light. The lighthouse has had a rotating beacon since 1924. Mayor Patrick Rosenello and City Clerk Scott Jett are currently in discussions with the Coast Guard about the possibility of returning the DCB-24 to the city for display in the lighthouse.